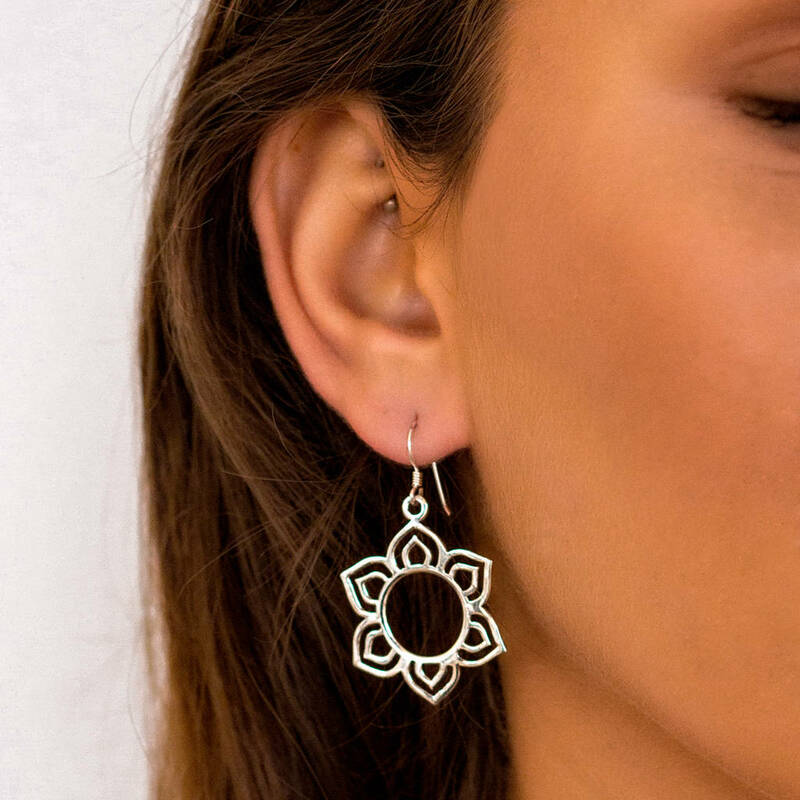 Stunning and delicate silver earrings, designed in the shape of a lotus flower. 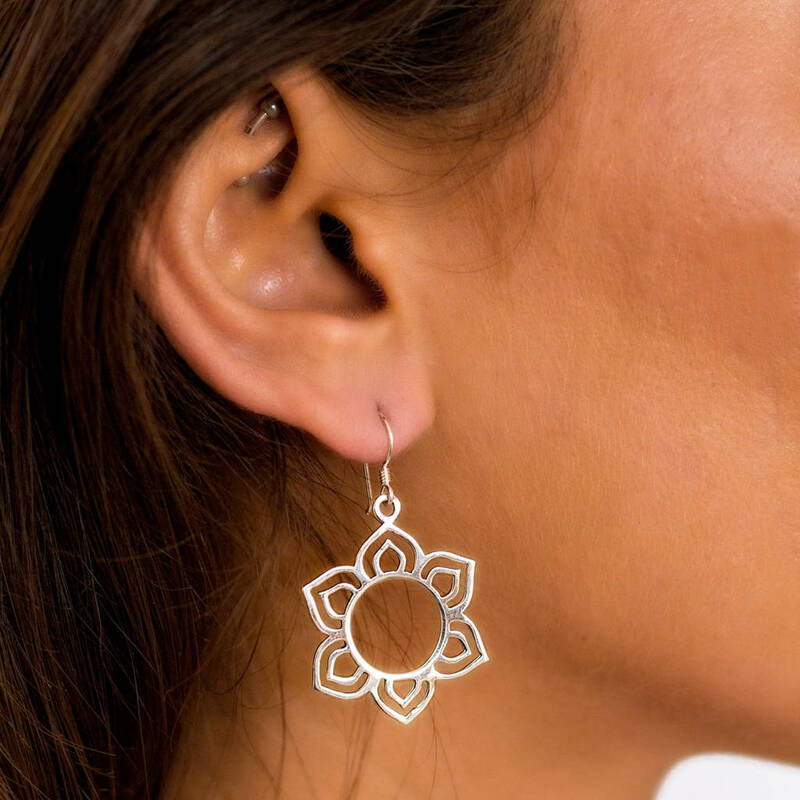 These exquisite silver drop earrings are perfect for wearing both every day and on special occasions, for those looking for both beauty but also for a reminder of a spiritual journey. 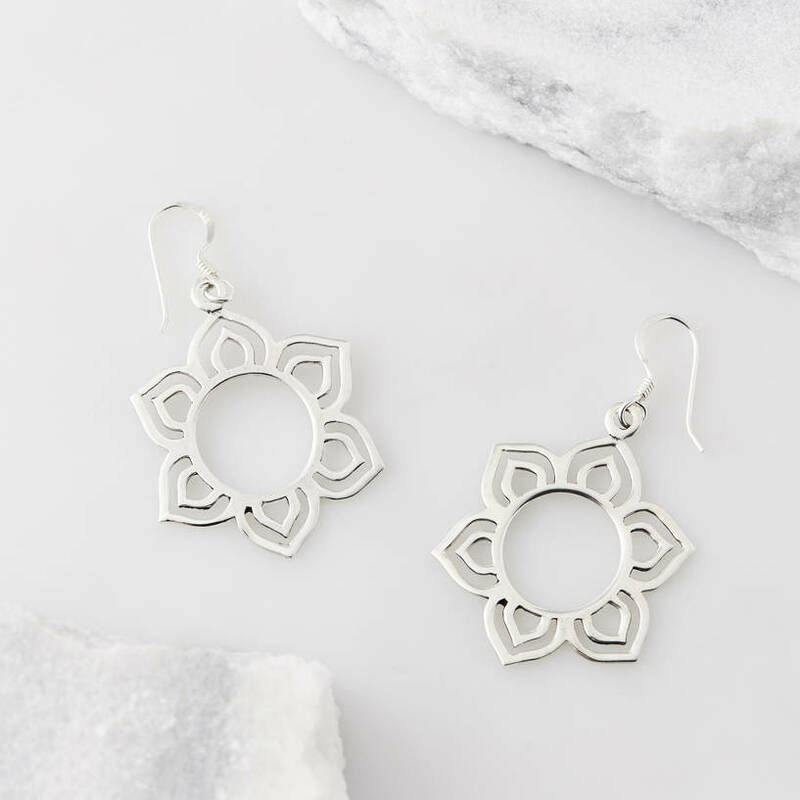 The Lotus flower has long been known for representing the doorway to the Universe and in many cultures, it symbolises spiritual awareness. The lotus flower rises above the mud of the water in which it grows, to rise up and display its beauty. 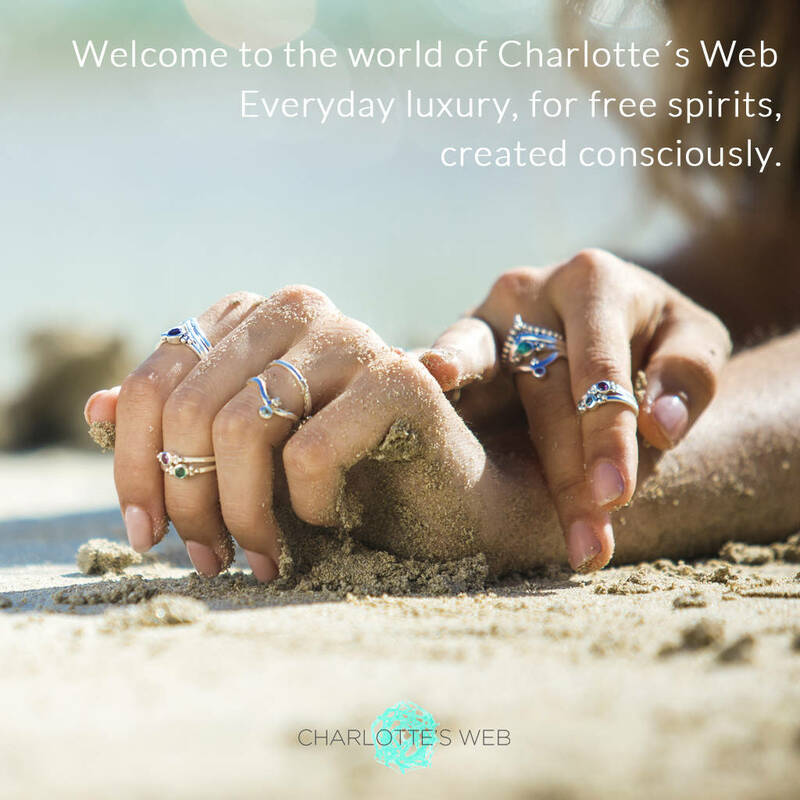 Wearing these earrings will act as a wonderful reminder of your own spiritual journey, reflecting your ability to rise through situations to connect with your true and radiant inner nature. 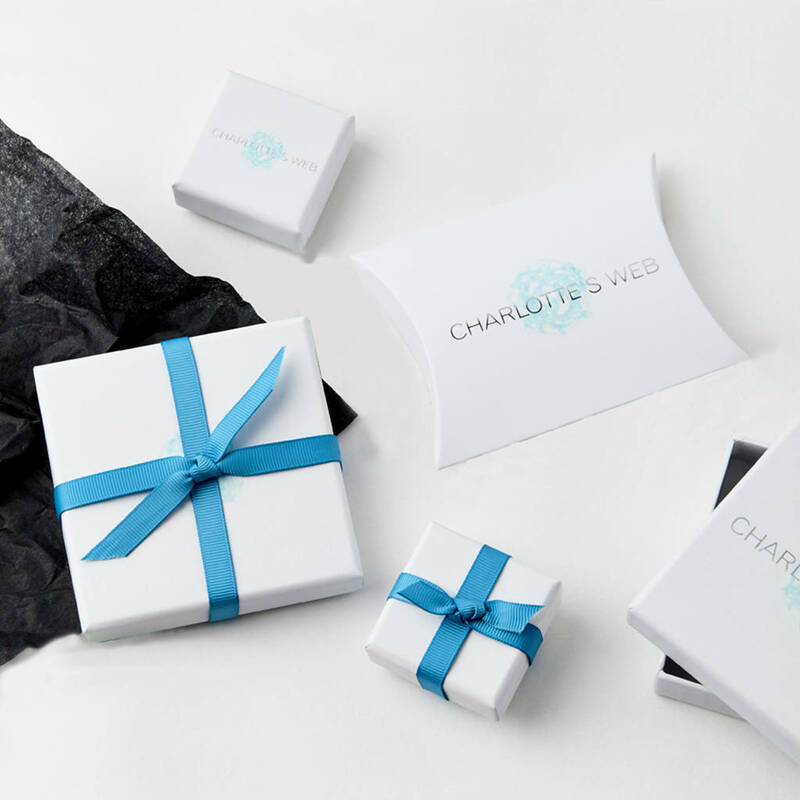 Equally, a perfect gift for someone you love.